Just across the Shenandoah River from Loudoun, the Barns of Rose Hill arts center is making a name by thinking globally—and locally. With musician and Loudoun native Morgan Morrison as program director, the venue draws top performers and visual artists from around the region and around the world. Morrison and her team are on a mission to spotlight regional talent while bringing in national and international acts. The Barns’ lineup for Saturday, April 6 checks all the boxes on Morrison’s list, featuring internationally acclaimed Americana star Randy Thompson and his band, just back from a European tour, along with local favorites Janet Emma & Seven West, led by longtime Loudouner Janet Emma Garbe. Saturday is also opening night for the “Across the Blue Ridge” art show at the Barns, featuring noted western Loudoun artists Kurt Schwarz and Jordan Xu with Garbe’s father, Warrenton-based oil painter George Garbe. For Janet Emma Garbe, the show means a return to a favorite venue with the added bonus of a spotlight for her father’s work. Saturday’s show is a multigenerational family affair for Garbe. Randy Thompson is her former brother-in-law and longtime friend and musical mentor. The pair shared the stage at the Barns for the first-time last year. Garbe’s father attended the show and had a chance to talk with Morrison about his work. “On the break between concerts, he said, “Hey I got an art show,’” Garbe said with a laugh. At 85, George Garbe, a retired U.S. Coast Guard captain who specializes in marine paintings, will have his first show. And he’ll be flanked by two well-known Gen X Loudoun-based painters, Schwarz and Xu. Janet Garbe’s nephew (and George Garbe’s grandson) Colin Thompson, a rising star roots music guitarist, will also be appearing with his father’s band after joining him in Europe last month. Meanwhile, Garbe has also made some exciting updates to her band, including some very familiar faces to Loudouners. Seven West now features Lovettsville’s John Bestwick and Joe Hammett from the Short Hill Mountain Boys, David Hurt from Winchester-based Drymill Road on upright bass and The Woodshedders’ Jesse Shultzabergeron drums. Melissa Wright from Mink’s Miracle Medicine will join Garbe on vocals for several numbers, and Scott Pardue plays harmonica on a few tunes. For Morrison, providing opportunities for local and regional acts to be heard while also showcasing national touring acts like blues sensation Jerron “Blind Boy” Paxton and international performers is a priority. The two early 20th Century dairy barns were donated to the town of Berryville and restored by the Barns of Rose Hill nonprofit, which continues to operate and maintain the venue. The performance venue, which opened in 2011, was designed with input from an acoustical engineer to provide a listening room environment that’s hard to find in the region, Morrison said. With a capacity of 175, the venue offers an intimate space but can also accommodate noteworthy acts. 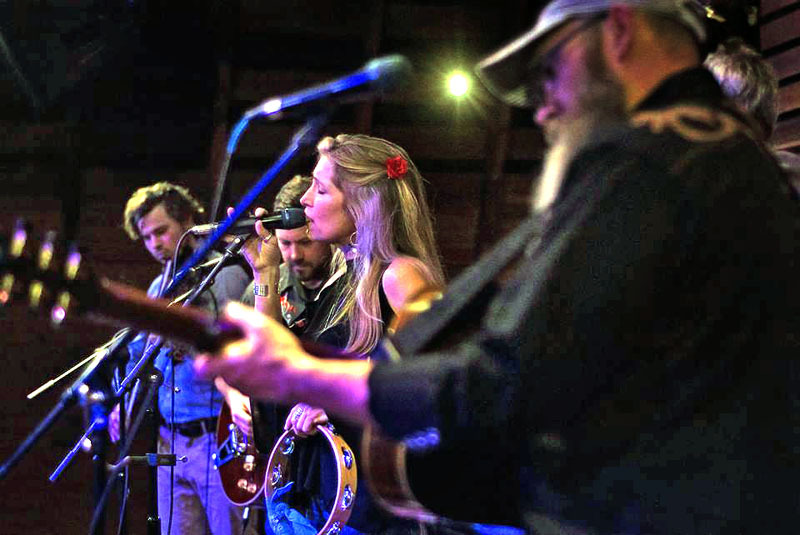 Favorite local and regional acts like the Thompson/Garbe show and Morrison’s own band Furnace Mountain often bring their own audiences and pack the house, Morrison said. The venue also hosts film screenings, community events and classes from yoga to art and beyond. For Morrison, that sense of creating community is an essential part of her role. At almost every concert or program, small world connections are made, and the April 6 show is likely to be no exception. 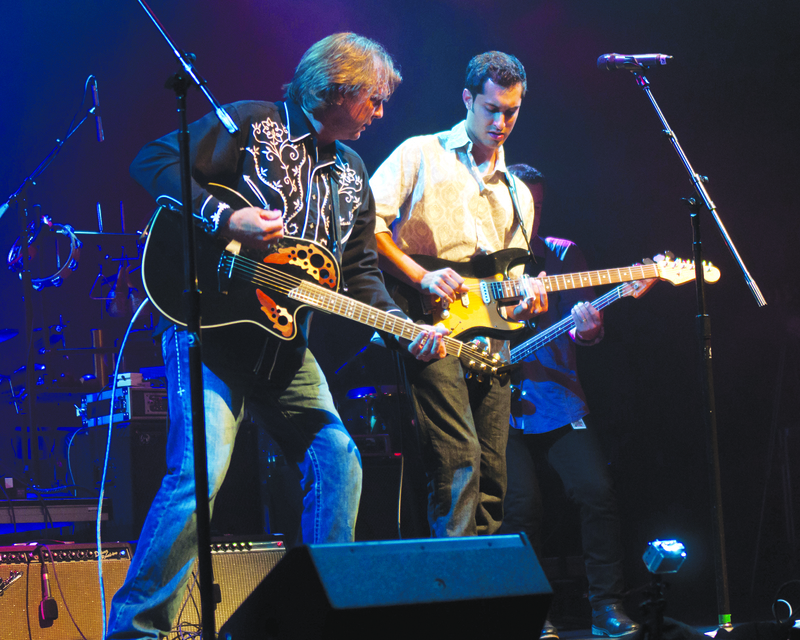 The Randy Thompson Band and Janet Emma & Seven West perform at the Barns of Rose Hill Saturday, April 6. The “Across the Blue Ridge” art show opens at 6:30 p.m. that evening, with dinner from Jordan Springs BBQ available for sale. Music begins at 8 p.m. Tickets are $20 in advance and $25 at the door. For tickets or more information, go to barnsofrosehill.org.